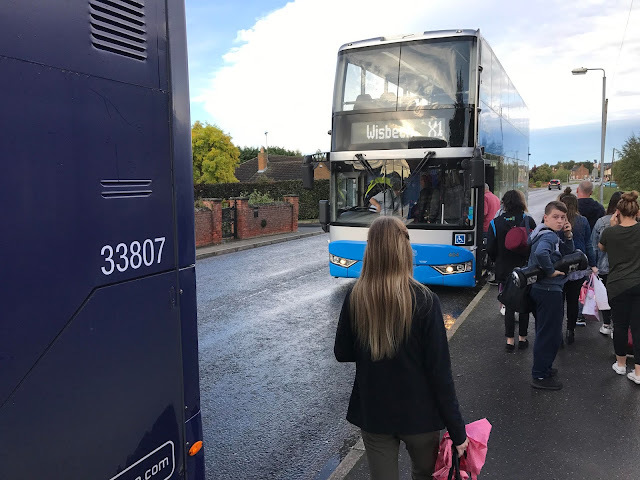 Enviro 400 33808 which was involved in the storm incident back in February has left King's Lynn today for Chelmsford where it is to undergo a week of tests on the route to Stansted Airport . If successful, following the expiration of the 5 year period next September, the Enviros may be redeployed on this route. There is still no definite news about what will replace the Enviros on the X1 although another demonstrator is in the pipeline, a Wright bodied Mercedes vehicle is rumoured, but apparently this is still under construction. 33821 is once again scheduled to step into the breach caused by the temporary loss of 33808. Meanwhile 33806 is due to have an axle replaced shortly. Here's an unusual scene. Passengers disembarking from 33807 and transferring to the Ensign Bus demonstrator at Walpole Highway. The Enviro was running very late due to Friday congestion and an incident with a passenger at King's Lynn. It then went empty to Peterborough to regain time. Photo taken by Victor Meldrew on September 8th. Breakdowns in service with the Enviros are quite rare due to the preventative maintenance afforded to the fleet, however, on Bank Holiday Monday August 28th, an unexpected oil leak halted 33815 soon after a late morning departure from Peterborough. 33808 was sent to the rescue and passengers transferred to the following service. Photo taken by me ! Use of these long buses will require a rethink at Norwich. 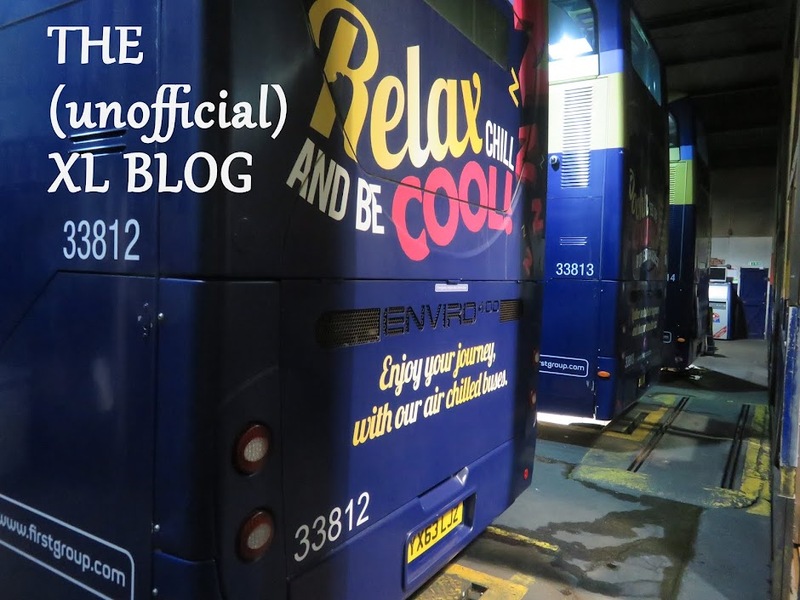 The present use buses have a real job getting to their stand at times due to the lack of clearance at the entrance to the row of bays. Monday 9th October 2017 ~ It's the X30 !